Let me first say that I LOVE to eat, therefore, I do not believe in diets. In my opinion, if you lead a healthy lifestyle and take care of your body, there is no reason you need to deprive your body of food and it’s ok to indulge every now and then. I do, on the other hand, feel that cleanses/detoxes can be extremely helpful – even if you eat really healthy. We are all surrounded by toxins, internal and external – whether it’s air pollution, toxic personal care products, or stress and negative thinking. In my case, my biggest toxin source is stress…and sleep deprivation. Buying our first house, moving for the umpteenth time, and running around with a high-energy toddler made for many stressful days. 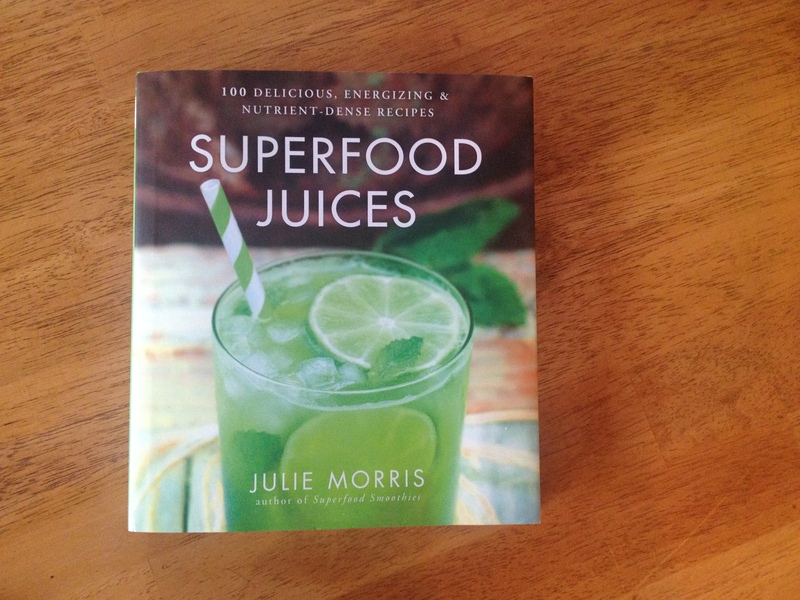 After thumbing through Julie Morris’ Superfood Juices book, a light bulb clicked on and I decided to plan out a mini juice detox – what better way to try a handful of her amazing recipes! You can buy this book on Amazon for only $10.71! One of my first cleanses (five years ago) was supposed to be a seven-day one – using psyllium husk, bentonite clay, and homemade veggie broth. I was crying by day three and since I was doing it alone, I gave up. Apparently, and luckily for me, that was all my body needed because I overcame the majority of my food allergies (pineapple, banana, tomatoes, garlic, peanuts, yeast). I caved so easily and wanted a “real” meal because I didn’t have someone there to hold me accountable…Josh wasn’t a part of that cleanse. So, I was happy when he wanted to do this one with me! We sat down and wrote out our shopping list to do the 3-day juice detox and came up with a menu and planned out Willow’s meals. 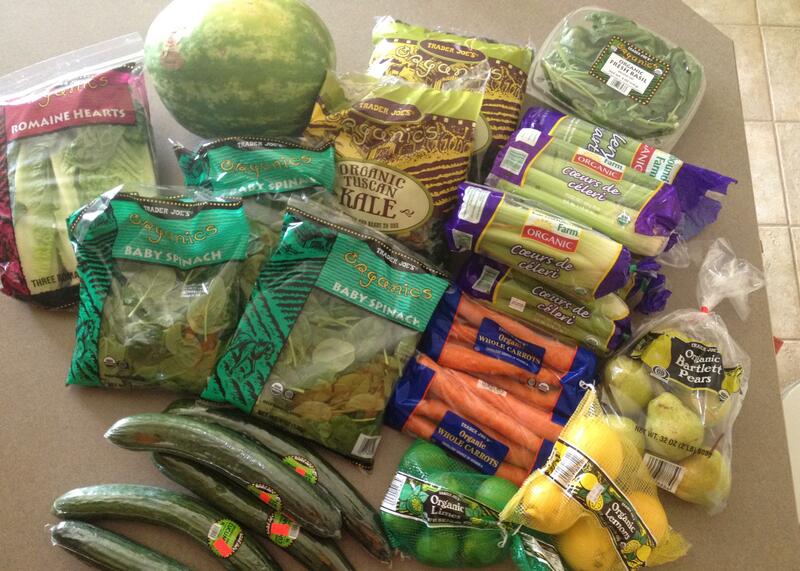 I couldn’t believe all the fresh organic produce we needed for just three days!!! Luckily, Josh works at Trader Joe’s 🙂 Also, lucky for us that we had the superfoods (cacao, maqui powder, spirulina, wheatgrass powder) on hand, so our money was only spent on fresh organic produce. Trader Joe’s haul for the next three days! We decided to come up with our own modified menu, combining a few of the categories, but tried to choose juices that fell into Detox & Flush, Slim & Tone, and Quick Reboot. The amount of recommended juices a day fell between 5-8, depending on which category of detoxing you wanted. We decided to make six juices a day. 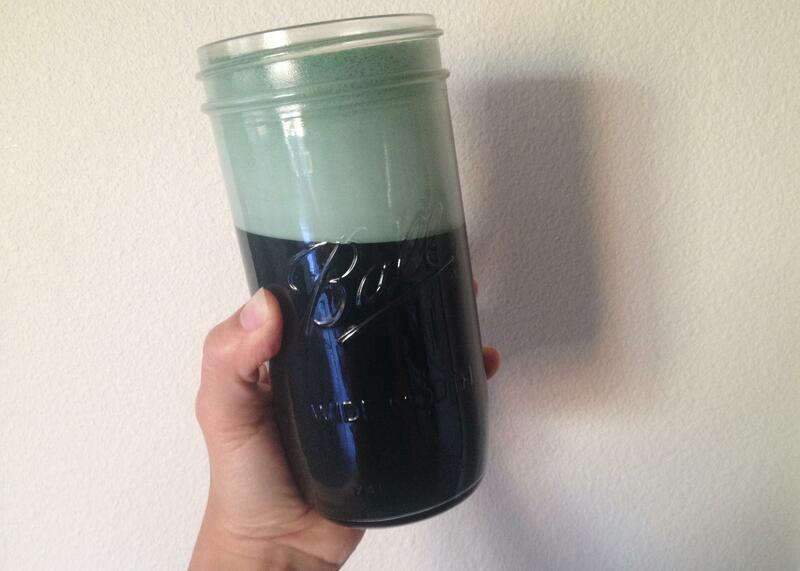 Coconut Spirulina – we loved this one so much that we had it at least once each day. No actual juicer needed for this one – so simple to make. Watermelon Goji – stunning color and the flavor was amazing! 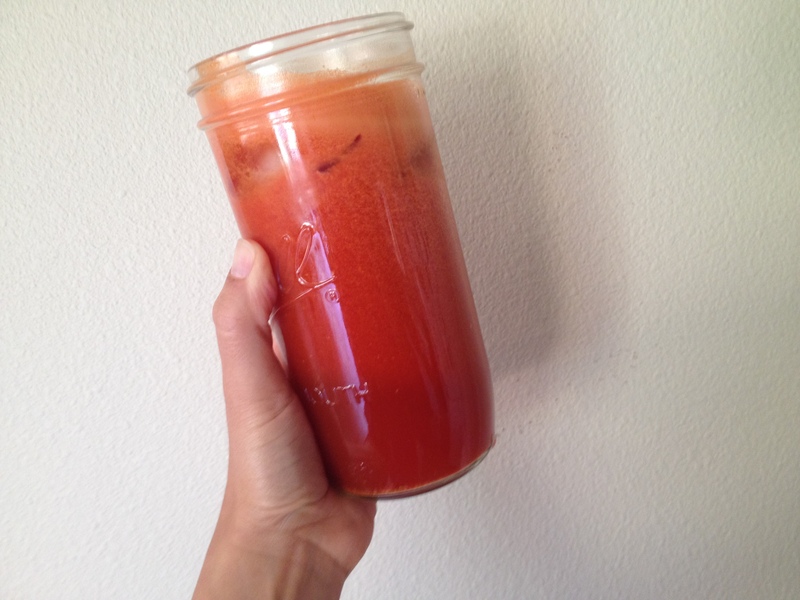 I chose to blend the goji berries after they steeped in the juice. 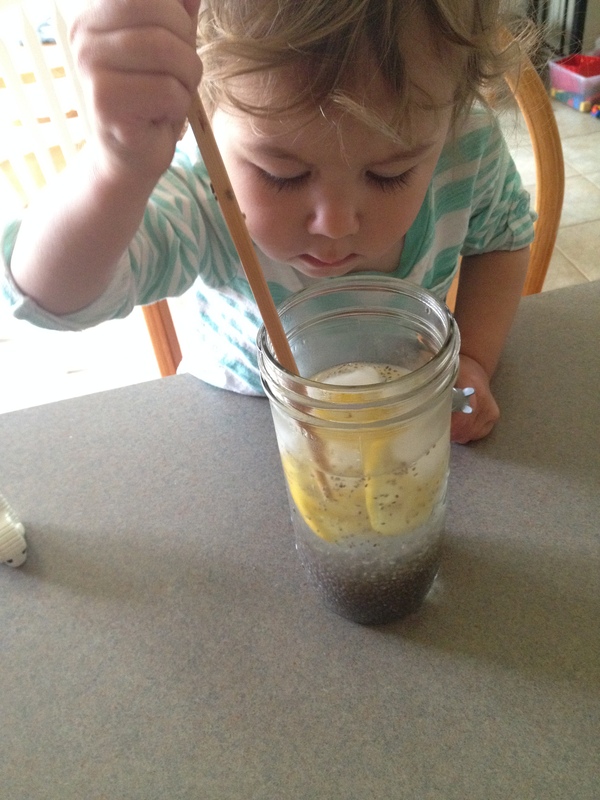 Spirulina Watermelon – we both loved this one! So full of flavor and the heat from the cayenne was perfect. 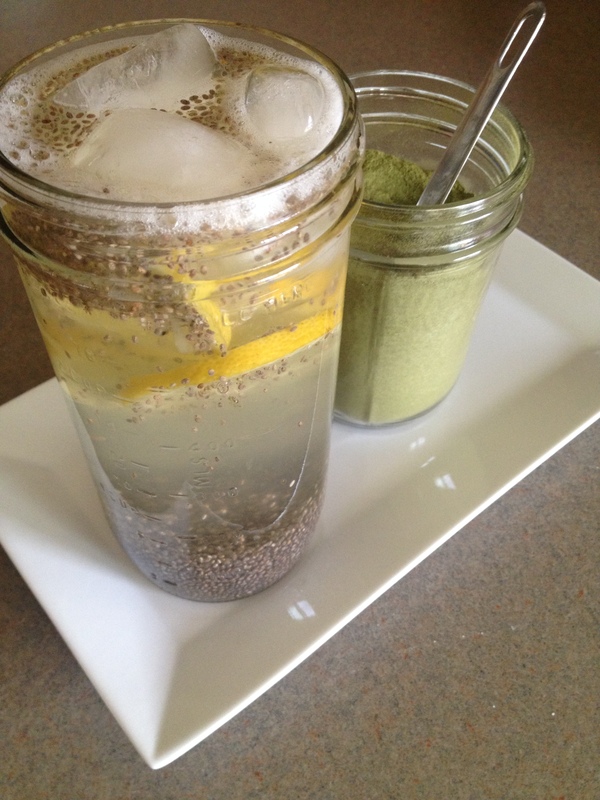 Electrolyte Chia Lemonade (with just a tiny pinch of raw organic stevia powder) – I was hesitant about this one at first because that was A LOT of chia seeds, but we both loved it! Refreshing, filling, and packed with nutrients. 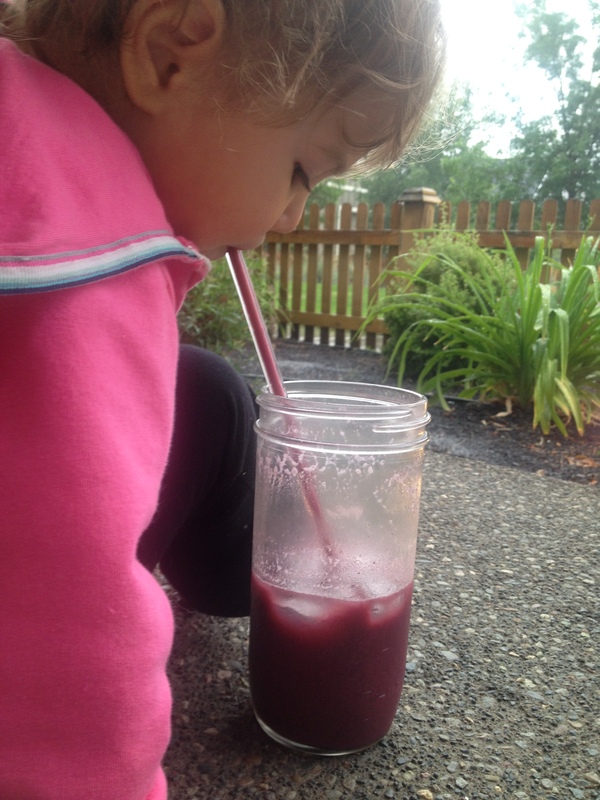 Sitting outside watching the rain POUR down and sipping on a Berries & Cream juice. A great way to end the day. Hands down, the Spinach Hemp was my favorite juice over the three days. Slightly creamy from the hemp seeds with just a touch of sweetness from the celery. If you love celery, this is definitely one for you! Willow tried to steal it from me! 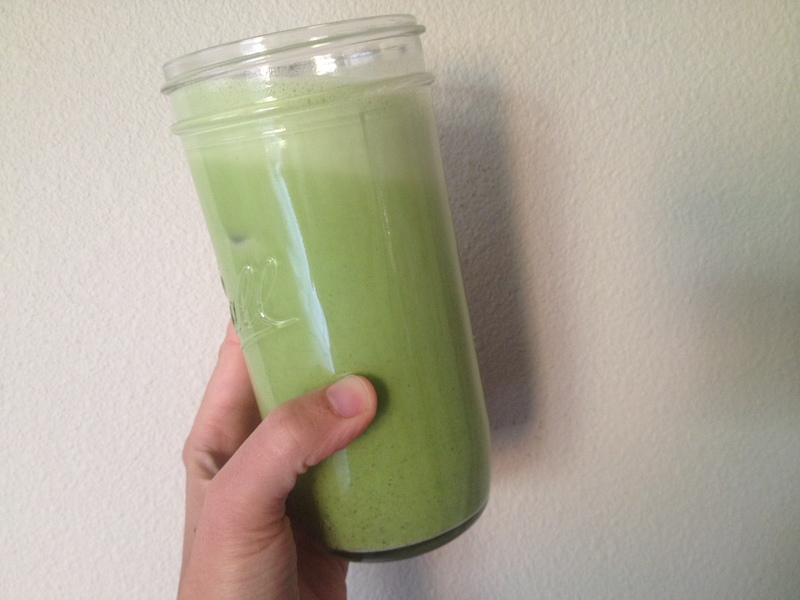 This slightly sweet Green Apple Kale juice was super refreshing! 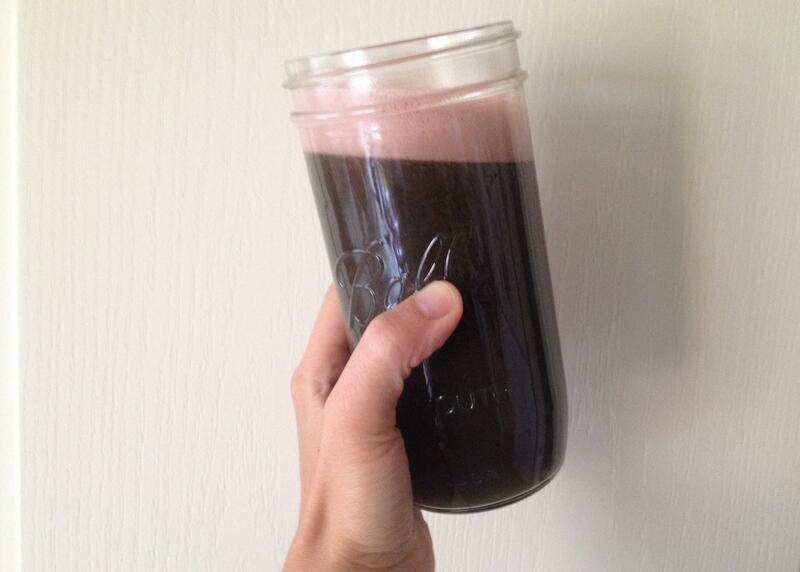 We saved the Cacao Pear as our last juice of the detox and it totally felt like we were cheating! Slightly creamy, sweet, and hit the spot. Oh, and Willow approved! Julie Morris definitely made our juicing experience a good one – the addition of superfoods to regular juices really enhanced the flavors and nutrient content. We loved how she broke everything down in her book about all the wonderful benefits of juicing, the ingredients and their benefits, different juicing techniques, tips, and what the different categories of detoxes provide. I especially loved how she explained what to expect during your detox – made me feel a bit more normal with my fluctuating emotions! I’m so happy that we chose to use her recipes for our detox because we got to try a nice handful of her creations and we know which ones we’d like to incorporate into our day-to-day lives. You don’t have to do a detox to use this book, it’s filled with 100 juice recipes that would be fun to experiment with over time. I HIGHLY recommend picking up her book, Superfood Juices, you won’t be disappointed. 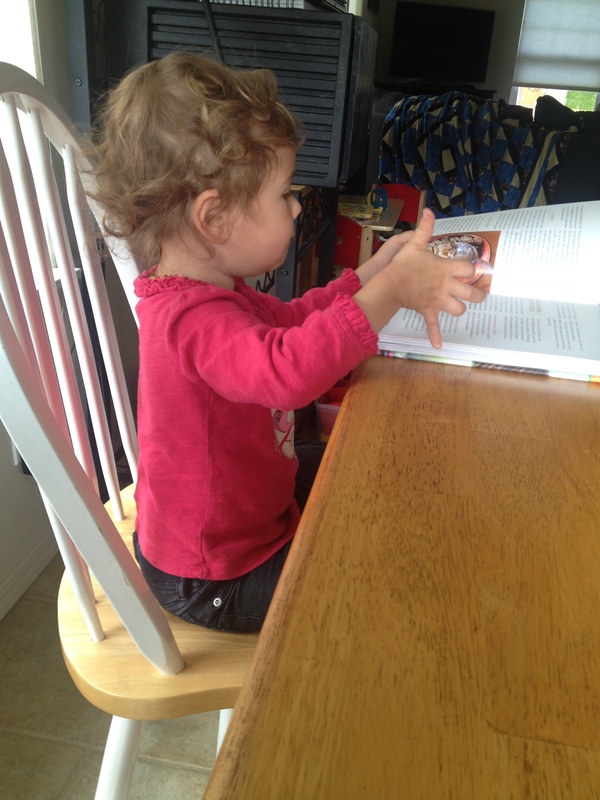 Our little herbivore thumbing through the Superfood Juices book! This 3-day juice detox cost us approximately $140, which is just a bit under our weekly grocery budget. It’s definitely expensive and even more so for people who don’t have the superfoods on hand. I felt so amazing by the end of Day 3 that I would have continued on with a longer detox, but we pretty much used up all the produce! My clothes felt a bit loose, my skin was glowing, I felt light and energized, AND I lost a total of 5 pounds over three days (Josh lost a total of 7lbs). 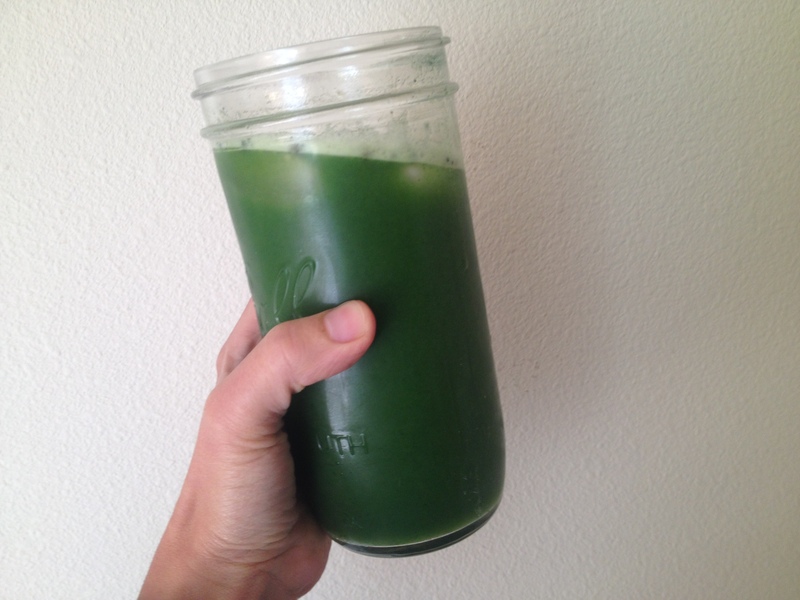 I didn’t have any specific cravings during this time – I usually crave carbs or chocolate, but on the last day, I was craving an apple…so I was pretty excited to make the Green Apple Kale juice – it satisfied that craving really fast! I’m nervous to go back to “normal” and eat an actual meal; I need to remember not to eat until I’m full and to watch my portions – didn’t used to be, but lately I’ve become a stress eater. I’m hoping to continue on this sort of “high” and incorporate juices, such as the Electrolyte Chia Lemonade or Coconut Spirulina, into my daily routine – and I imagine we’ll do another juice detox in the near future. This experience also taught us that we’d eventually like to get a different juicer, so if any of you LOVE yours, please share what you have! That is so awesome and inspiring!!! Congrats to both of you on your hardwork!! I did a 3 day detox a little over 2 weeks ago using the same book! 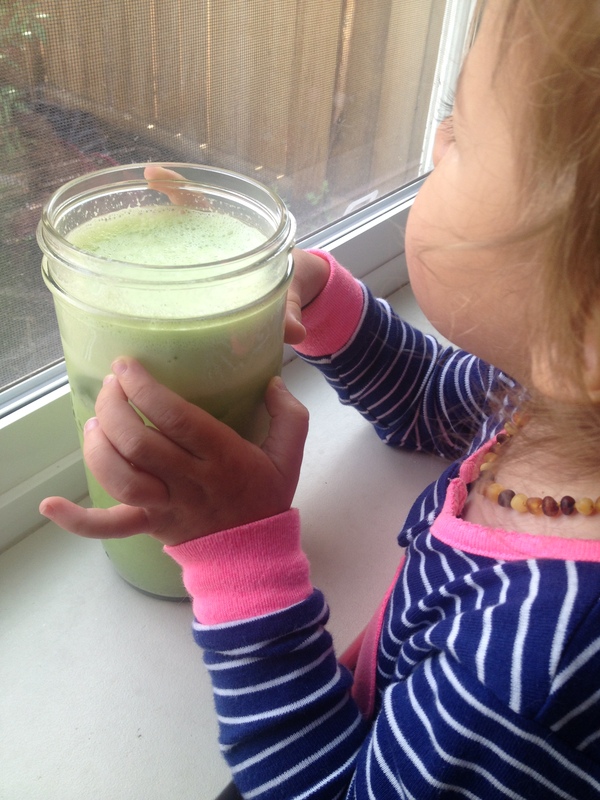 I have started to incorporate her juice recipes into my diet almost every day. 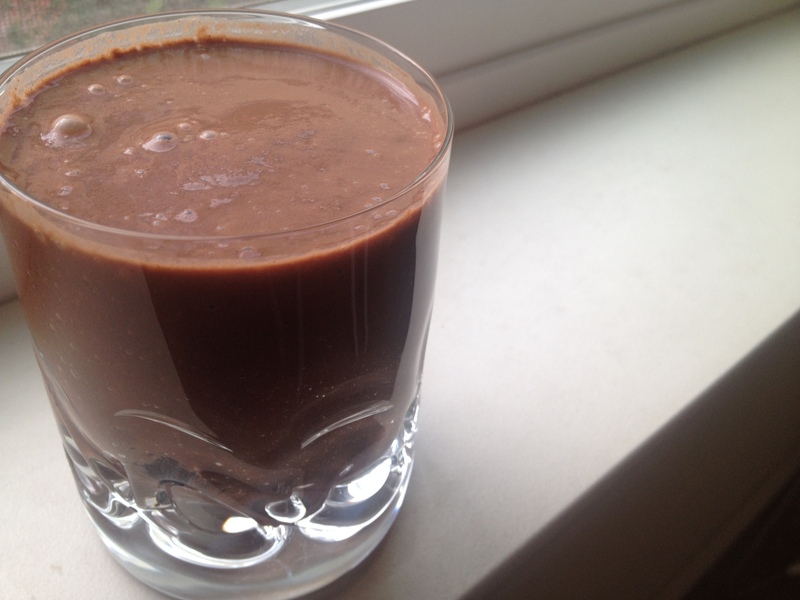 The pear cacao did feel like cheating…after not having “regular” food for a few days, it tasted like a chocolate shake to me 🙂 We invested in the Omega masticating juicer and I LOVE IT! !